Furling units are sized according to headstay diameter and length. It’s also handy to know the chain plate pin diameter. Harken furling systems come with a variety pin diameters, but only one is correct for your boat. Are all Harken furlers capable of reefing a headsail? No. 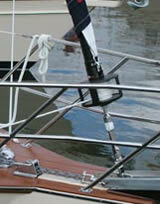 A reefing furling system must have aluminum extrusions covering the headstay. Yes. Convert sails you use regularly, including at least one genoa and one heavy sail. If you sail in an area that requires specialty sails like drifters, convert these too. Sails must be in good condition. What sail modifications must I make? You must remove the hanks and add a luff tape so the sails slide into the foils. Add a suncover to your most frequently used sails to protect them from ultraviolet damage when furled. 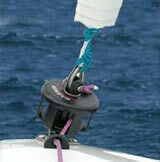 You may need to slightly shorten larger sails so there is room for the halyard swivel on the headstay. Look for a reefing sail designed for a range of sailing conditions. It should have: shaping devices for sailing reefed; strength to handle reefed sailing loads; sun protection. What’s the best way to protect my sail from the sun? Any sail left rolled on the headstay needs protection because after prolonged exposure, ultraviolet rays will destroy sailcloth. Some sailmakers use UV-proof sailcloth. This cloth can be used on the genoa foot and leech panels without adding a lot of extra weight. Most sailmakers prefer Acrilan-type covers (the same material used for mainsail covers) sewn on the sail leech and foot. Some use a long sock-like wrap to cover a furled sail. The advantages are you don’t add weight to your genoa, and you can cover any sail you furl.The disadvantages are having to raise the cover on a spare halyard to fasten twist snaps, or to zip. These covers also flog in a breeze. Easily. Changing furling sails is similar to changing a hank-on jib. Simply attach the head and tack of the sail to their shackles, pass the luff tape through the prefeeder and feeder and raise the sail. The prefeeder and feeder remove wrinkles and minor twists in the sail so you can raise sail while at the mast or standing in the cockpit. If you plan to make a lot of sail changes, you should order the optional head and tack snap shackles. Will my sails still have a good shape when reefed? Harken furling systems have independent halyard and tack swivels that furl the sail’s center before the tack and head. This results in a flatter sailgood for reefed sailing. The shape is not as good as a sail specifically designed for reefing, but much better than a unit without independent tack and head swivels. This depends on your boat and your normal sailing conditions. Most boats find a 150% genoa ideal. However, if you sail in a windy area, you may want to use a 125% genoa. In a light air area, a larger genoa my be needed. Discuss sail size with your sailmakers. What is the proper luff tape size for my Harken furler? Units 00AL, 0, 1, 1.5, 2, 2.5, 3, 3.25, and 3.5 use #6 luff tape. #6 luff tape is .1875″ in diameter also expressed as 5 mm. 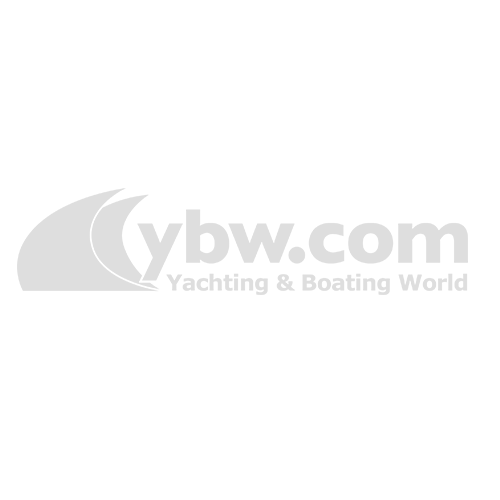 Unit 4 and 4.5 furlers use # 6 or #7 luff tape, #7 luff tape is .218875″ (6 mm) in diameter. Most furling sails are designed with a high clew to give the lower part of the sail a better wrap around the foils, as well as improve visibility under the sail. At Harken, we like a sail with a moderately low clew because the sail performs more efficiently. Since the tack of the sail is raised off the deck, you’ll still have good visibility under the genoa. I’ve heard you can’t really reef a sail. Is that true? You can reef sails using a Harken system. If you reef a standard sail, your sail shape will be fair. You will also have to choose which sail to set and it won’t work well in all conditions. A specialized reefing sail will maintain good sail shape through a wind range of five to 40 knots. Additional sail shape adjustments can be made by increasing/decreasing halyard tension and by changing genoa lead block position. Reefing works well, so why do I need more than one jib? Experienced seamen never sail without a heavy air jib because even the best reefing sail can be damaged. In a blow, you should change to a heavy air reefable sail before leaving the harbor. A storm jib is vital for offshore passages because of the possibility of hurricane weather. If you live in a light air area, sailing will be lots more fun if you use a light air sail. What will the conversion from hanked-on to luff tape cost? How strong should my reefing be? The sail should be powerful enough to move the boat efficiently in light air and chop, but flat enough to sail reefed in severe conditions. Modern shaping devices allow sailmakers to build sails that work in winds ranging from five to 40 knots. Most sailmakers use foam or rope luff pads. Some use the Aeroluff system. Ask your sailmaker which shaping device is best for your boat. Can I use my cruising spinnaker with a Harken furling system? Yes. Most cruising spinnakers attach to the headstay with a snap shackle. Ask your sailmaker to replace the shackle with one that works with a furled sail. He will probably use a padded strap, or string of beads to hold the sail near the headstay. I like to race seriously, but I also like the convenience of furling. Can I use my racing sails? Yes. You can use your racing sails on a Harken system. Most racers don’t use a #1 genoa because the luff is usually too long and construction too light. A #2 or smaller genoa should be short enough to use on your furling system, and strong enough to handle reefing. Can I still use my hank-on jib with a Harken Small Boat furler? The answer is yes and no. You can still use the same jib, but without the hanks on it. You don’t need to get a new jib cut, you need to replace the hanks and add a luff wire to the sail. Most sailmakers can do this for you. Can I use a Code Zero furling for a Screecher sail on my trimaran? The code Zero furler was designed to handle the massive sail area of upwind spinnakers on ocean racing boats, but it can also be used with Screecher sails. Because the single line driver of the Code Zero furler is fairly large, there is more torque power when rolling up the sail. If a Screecher is used in heavier air, rolling up the sail is considerably easier. If the sail is somewhat oversized, the continuous line can handle any amount of sail without the drum filling up up with line. The disadvantage is that because the line is continuous, there are two lines to deal with instead of one. We have a dedicated Screecher furler for recreational use that works off the same concept as a standard headsail furler. A Screecher furler only has one line and the cost is a fraction of a Code Zero. 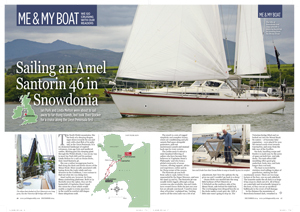 Can Small Boat furlers be used for reefing the headsail? Furlers do not have a foil system and cannot be reefed. The sail must be furled all the way in, or unfurled all the way out. How are Small Boat furlers attached to the sail and boat? Headsails used on Harken Small Boat furlers require the installation of a luff wire onto the sail. The luff wire comes out from the luff at the head of the sail and attaches to the bottom of the halyard. The top of the halyard swivel attaches to the halyard. The bottom end of the luff wire attaches to the top pin of the spool arrangement. Small Boat furling systems can be installed as an integral part of the headstay or behind the stay as an independent part. How does the installation differ if I want to install the 436 furler behind my stay in order to fly multiple headsails? Some boats have a chain plate at the bow with multiple holes. The headstay goes to the forward hole and the lower unit is installed in one of the after holes. The 426 halyard swivel has a stainless steel crane that keeps the halyard swivel close to the stay. Can my sail be stored on my Small Boat furler? Yes. You can store the sail on the furler, leave it furled and ready for the next time you use your boat. If you leave the boat with the rig in place and the sail furled for the summer, make sure the sail has adequate protection against UV damage. Your sailmaker can sew a sunscreen on in a narrow strip along the foot and the leech of the sail. When the sail is furled, the screen will be the only portion of the sail exposed to the sun. Note: Once your sailmaker has installed a sunscreen on the headsail, there is an inside and an outside to the sail.